With affordable living options, this European capital is renowned for its warm hospitality, friendly atmosphere, and for having one of the lowest costs of living in Western Europe—a couple could live well here on US$2,646 a month. Featuring a vibrant downtown dotted with colorful houses and small, walkable neighborhoods, the “White City” as it’s commonly known (thanks to the unique architectural luminosity—characteristic ochre stone used throughout town seems to illuminate the city when the sun’s rays reflect off it) is also home to some of the most modern buildings and luxury villas of our era. From elegant apartments to luxury new developments, Lisbon has lifestyle choices for all tastes and budgets and, even though it’s more expensive than the areas surrounding it, it has the advantage of having an already well-established and large community of expats. 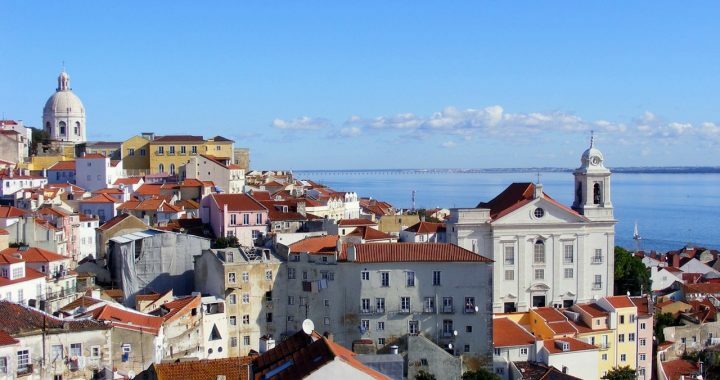 Lisbon is also a well-connected city—both locally and internationally. A weekend in Paris, London, or Milan is suddenly a new possibility. As is a longer trip… inter-railing through France, Germany, Switzerland, Austria, Slovakia, Croatia, Greece, and beyond… or taking a slower pace by foot along the Camino de Santiago. Europe holds much opportunity. But nowhere else in Europe offers the same wonderful lifestyle at affordable prices that we see in Portugal today—even in the capital city. “In the center of Cascais, outdoor cafés, restaurants with seaside dining, and interesting shops abound,” reports Terry. “In addition to the parks, there are forts, museums, flowers year round, palm trees, and statues everywhere. We often stroll around with no destination or time constraints, just enjoying the sites and taking photos. “Summer in Cascais is all about getting outside and enjoying the beaches. This time of year we share the city with a vibrant tourist crowd from all over the world. The winter months are much quieter with mostly just local Portuguese folks to keep us company. We like both seasons and the differences each brings. If you’d love to explore all your lifestyle and investment options in this underexplored, westernmost point of Europe but haven’t yet reserved your seat, it’s not too late to join us for our 2018 Live and Invest in Portugal Conference… and take advantage of our Early Bird Discount. Save US$250 when you reserve your seat here and use Coupon Code PORTCONFIDENTIAL to save an extra US$50. Posted in Live And Invest Overseas Confidential and tagged live and invest overseas conference, valentince fouche.